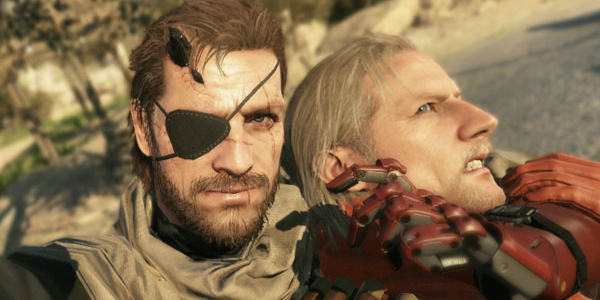 Metal Gear Solid V: The Phantom Pain brings us full circle. It’s the missing piece that links the idealistic, peace-seeking Naked Snake from Metal Gear Solid: Peace Walker to the warmongering villain Big Boss of the original Metal Gear. With Metal Gear Solid 4: Guns of the Patriots closing out the story of Solid Snake, The Phantom Pain’s wrapping up of Big Boss’s legend might we’ve reached the closing of the Metal Gear main series. Fortunately, I couldn’t have asked for a better title to end a 28 year old video gaming legacy. If this is indeed the last time we see Big Boss, he’ll have went out with a bang. Metal Gear Solid V: The Phantom Pain is very much a continuation of the story that began with Metal Gear Solid: Peace Walker, and continued in Metal Gear Solid V: Ground Zeroes. After the events in Ground Zeroes, Big Boss was comatose for 9 years in a British military hospital in Cyprus. When he comes to his enemies come to finish the job, and you must escape and rebuild. The theme of The Phantom Pain is revenge. For those that played Peace Walker, you’ll remember Kaz and Big Boss as being relatively idealistic. Though they’re in opposition to the power structures they feel are using soldiers without remorse for their own gain, the end objective is simply to defend themselves and survive. In The Phantom Pain, the only goal is to find the entity that destroyed the first Mother Base and destroy them by any means necessary. This leads to a Metal Gear with a much darker tone than its predecessors. In previous entries, whether playing as Solid Snake or Big Boss (or even Raiden), the objective was altruistic in nature. You fought selflessly to protect others, or against tyranny. In The Phantom Pain, the lines between who’s good and evil become more and more blurry over the course of the game. This is especially true with Kaz, whose erratic and violent behavior has him coming into direct conflict with Big Boss more than once. The hub of your operations is a newly revitalized Mother Base. It’s here that you’ll begin the journey to rebuild your army, christened Diamond Dogs, in your quest for revenge. Whenever you Fulton someone in the field, they’re sent back here to become part of one of the cogs of the Diamond Dogs forces. Each new recruit helps strengthen the R&D, Base Building, Intel, Combat, Support, Combat, or Security forces, which in turn gives Big Boss access to more and better abilities. Gone are the days of linear play in the Metal Gear series. Although the key concept of one man against an army still plays out here, the execution of operations has changed drastically. In a typical mission you’re given a rough outline of your key mission objectives, then you’re helicoptered into the mission zone. From there you have the freedom to choose how, where, and when you’re going to complete those objectives. This can be anything from the traditional Metal Gear stealth, sneaking in and around the enemy to your objective. You can go the opposite way as well, with artillery strikes, rocket launchers, and tanks at your command. The amount of choice and variety makes The Phantom Pain almost infinitely replayable. I found myself going back through missions more than once just to see how taking a different approach would work. There are a few downsides though. Although the story is still hugely engrossing and just as fantastical and nuanced as previous entries, the exposition of the plot has taken a hit. For better or for worse, gone are the 20+ minute cutscenes and Codec calls. They’ve been replaced by a series of cassette tapes that fill you in on certain aspects of the story. While this isn’t a terrible substitute, it can be annoying after major missions when you may get up to 8 or more tapes to listen to. There has also been a slight change in the portrayal of Big Boss. In previous entries the player took the role of the observer, with all the characters having their own wants, needs, and devices. However, in The Phantom Pain, it seems as though there’s been an attempt made to make Big Boss the channel for the player’s intent, which ends with him seeming all together too detached from the events around him. It ends up at times giving the odd impression that he’s simply a pawn for Ocelot and Kaz, which I don’t believe was the intent. With such a huge increase in the scope of the gameplay, the story can also seem a bit too sparse. Before Peace Walker, Metal Gear games were fairly linear affairs which could be completed in around 6-8 hours or less. This 6-8 hours was brimming with story and plot twists punctuated with gameplay. The Phantom Pain is the opposite, with gameplay being punctuated now and then with story. It’s easy to get caught up in researching new items, building new sections of Mother Base, recruiting new troops, and so on and become detached from the story. Few games live up to the hype that surrounds them. Most end up faltering in some way, if not being complete disappointments. Metal Gear Solid V: The Phantom Pain is one of the few that stands apart and reveals itself to be even better than imagined. For those that have followed the series for years, it’s a swan song, providing the experience we’ve always dreamed of. Although it has a few flaws, a flawed diamond is still a diamond, and The Phantom Pain is definitely a title that will go down in gaming history as one of the most satisfying experiences ever made.